Top 5 Ohio Road Trip Diners - Ohio. Find It Here. The must-eat-at diners for all roadtrippers! When you’re on a road trip discovering the great sights and activities across Ohio, it’s inevitable that you’ll get hungry, right? And what’s the best thing to complement a road trip? A local diner! If you’re taking a road trip across Ohio this year, make a stop at one of these locally owned diners! 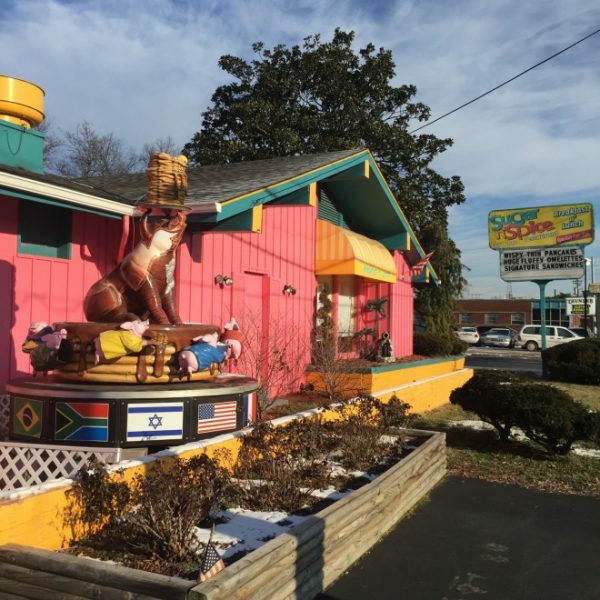 The colorful Sugar n’ Spice has been serving greater Cincinnati since the early 1940s. The family-friendly joint is decorated with fun knick-knacks, including a huge collection of tiny rubber ducks! 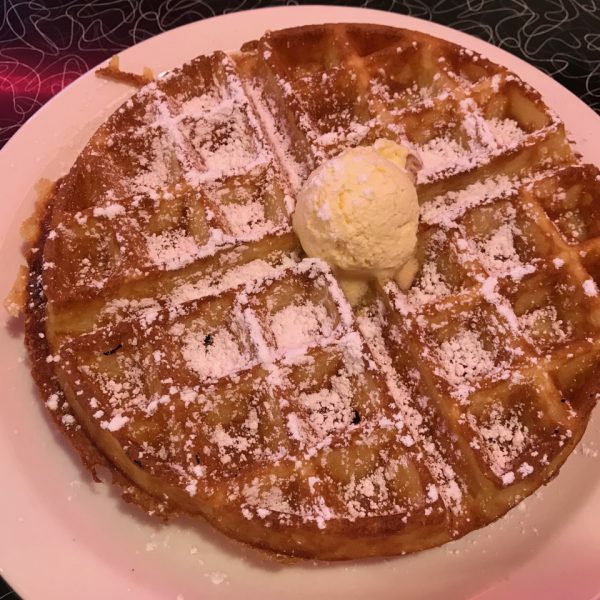 Squeeze into a booth or grab a stool at the counter, and order their “wispy thin” pancakes, giant omelets, cinnamon spice waffles and wings, burgers, oven-roasted turkey, and so much more. Don’t forget to try the Cincinnati specialty: goetta. The delicious delicacy is made with ground meat, oats, and spices. Slyman’s is a Cleveland institution. Grab a seat there and you’ll be elbow to elbow with locals enjoying a hearty breakfast, lunch, and dinner on the east side of downtown Cleveland. As an old school deli, Slyman’s specializes in house-made corned beef. You can mix it up into a corned beef hash with eggs and home fries, order it in a towering stack on rye, or just buy it by the pound (you know, for snacking on the road). Located in Columbus’ growing Franklinton neighborhood, Tommy’s is a long-running, family-operated restaurant. Visitors can enjoy the classic diner décor: neon signs, 50s icons, plenty of knick-knacks, plus comfy booths and a big, curving counter. Kick back to enjoy omelets, eggs benedicts, and crispy golden waffles, or Philly steak sandwiches, burgers, gyros, and homemade meatloaf. Make sure you say hi to Tommy, Kathy, Michael, and the rest of the family while you’re there! Just follow the neon sign to find K’s in downtown Troy, an old school spot where they’ve been serving comfort food to kids of all ages since 1935! They serve a full breakfast all day and are known for their homemade soups, big burgers, crispy fries, and of course, a sweet finish with a milkshake or malt. Ferraro’s has been going strong since, oh, 1900. 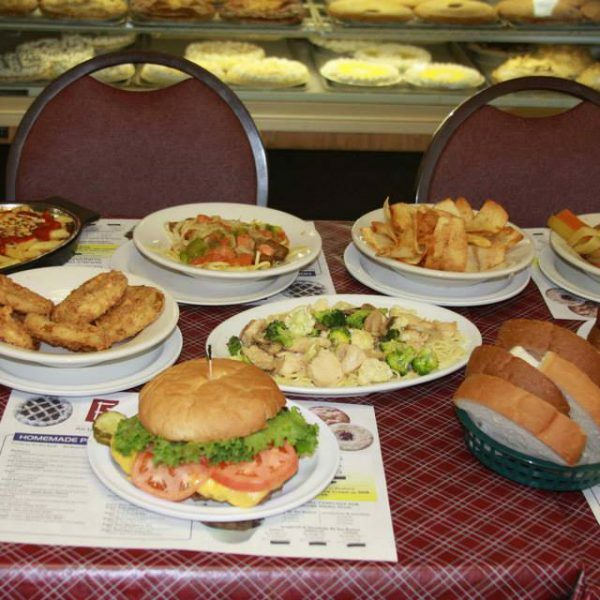 The family restaurant has fed multiple generations in Canton. They serve breakfast all day and all night, from big omelets to country fried steak to golden pancakes. For dinner, you can feast on pork chops, fried chicken, pizzas, and hoagies. And don’t forget dessert! At any given time, Ferraro’s has at least 25 different pies filling their cases. For more road trip inspiration, find 10 perfect Ohio Road Trips here!